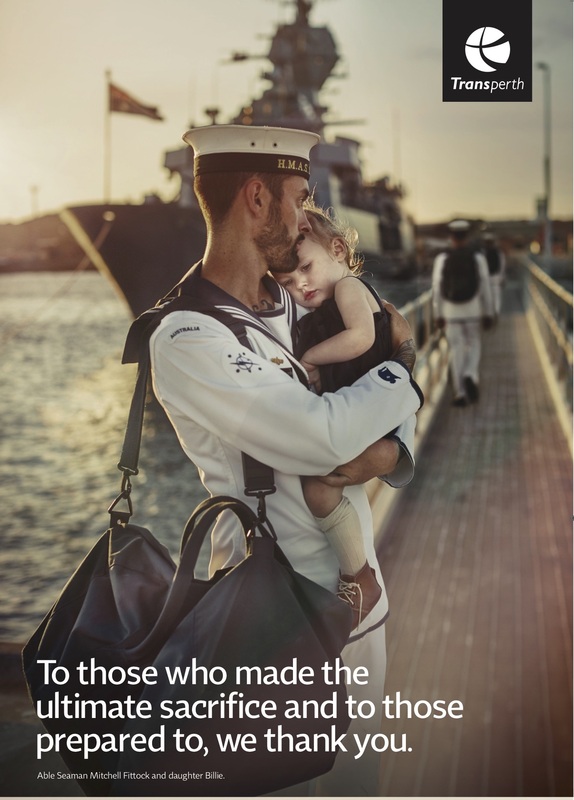 Transperth is recognising the sacrifice made by the men and women of the armed forces by providing them with free travel all day on ANZAC Day (Thursday, 25 April). Extra bus and train services will operate, including early-morning services to get people to and from the dawn services in Kings Park and Fremantle. Special-event trains will be operating to Perth on the Joondalup Line, leaving Butler Station at 3.50am, 4.02am, 4.14am and 4.26am, and on the Mandurah Line, leaving Mandurah Station at 3.29am, 3.41am, 3.53am, 4.05am and 4.17am. Route 620 to Kings Park will leave Perth Busport from about 4.30am. While buses are accessible for people with mobility issues, some of the locations (such as within Kings Park) are not. Refer to the RSLwebsite for detailed information. Route 621 will operate between the Vietnam War Memorial and the coach terminus near Wadjuk Way between 4.25am and about 9.30am (this does not operate during the dawn service). All other buses will run to the public holiday timetable with some deviations in place due to CBD road closures. Trains to Fremantle will leave Perth Station (Platform 7) at 3.47am, 4.02am and 4.32am. Connecting shuttle buses to Monument Hill will leave Fremantle Station (Stand 3) from 4.35am, with return shuttles back to Fremantle Station after the Dawn Service. To find out more about Transperth services, visit the Transperth websiteor call the Transperth InfoLine 13 62 13. Hearing or speech impaired passengers can call via NRS 133 677 and ask for 13 62 13. * Normal fares apply for people not wearing a service uniform or insignia. Seniors, aged and disability support pensioners can use their SmartRider to access free travel (as is always the case off-peak on weekdays and all day on weekends and public holidays).